Mellow Monk's Green Tea Blog: Where in Japan are our growers? Where in Japan are our growers? We have received a lot of inquiries lately about where in Japan our growers are located. Our growers' estates are in Kumamoto Prefecture, which as you can see on Google Maps is quite far from the disaster-stricken areas of Miyagi and Fukushima. However, we and our growers are doing what we can to help the people there. 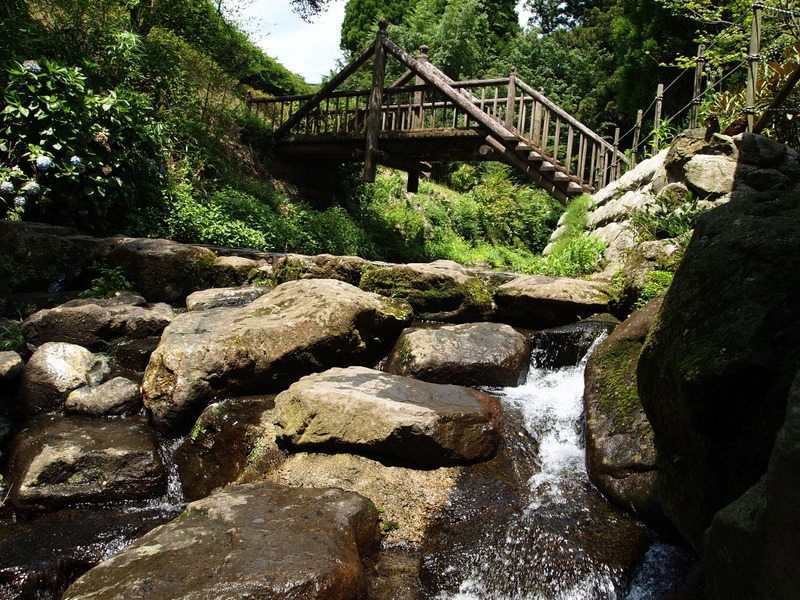 A stream near the Shirakawa Suigen (Shira River Fountainhead), in the Aso region of Kumamoto Prefecture.